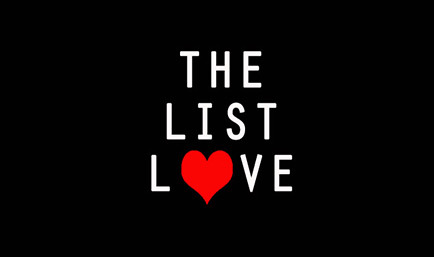 We don’t like to make you cry here at The List Love, we really don’t. However, there are some stories that must be shared, and we feel it is our duty to pass them onto our readers. Here are 10 photographs that may well make you cry. North and South Koreans can only meet at sporadic reunions, and the numbers that can see each are very limited. It is therefore incredibly bittersweet when family members meet for the first time in years. 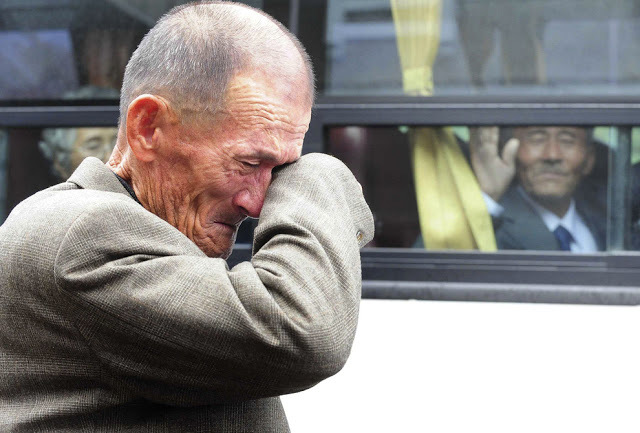 These North and South Korean brothers were separated for over 57 years. However, in 2010, they seen each other for the first time in over six decades. The gravity of his brother leaving him again clearly hit this man as he waved goodbye to his long-lost sibling, knowing he may never see him again. Chester Hembree was told that his son, Lucas, who suffers from Sanfilippo syndrome, was a poor candidate for a service animal. 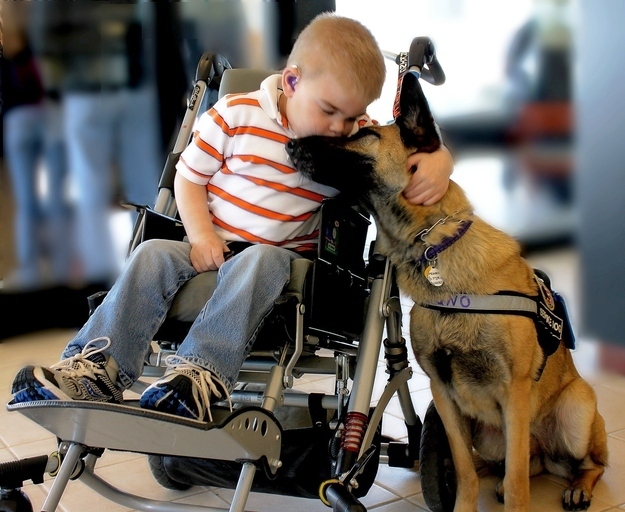 Not to be disheartened, Chester rescued a Belgian Malinois pup and trained him to be a service dog for his little boy. 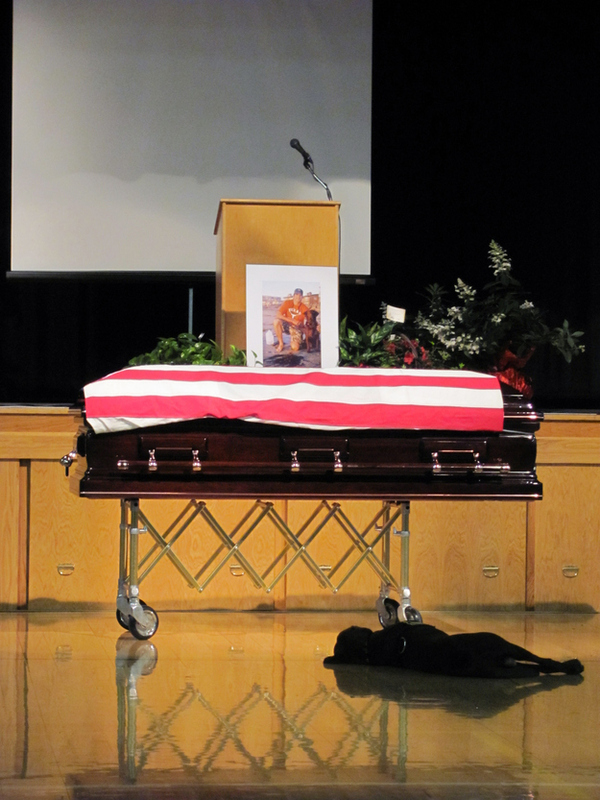 Here a dog lies in front of his master’s coffin during his funeral service. His master was a fallen Navy SEAL, and is obviously greatly missed by his faithful friend. 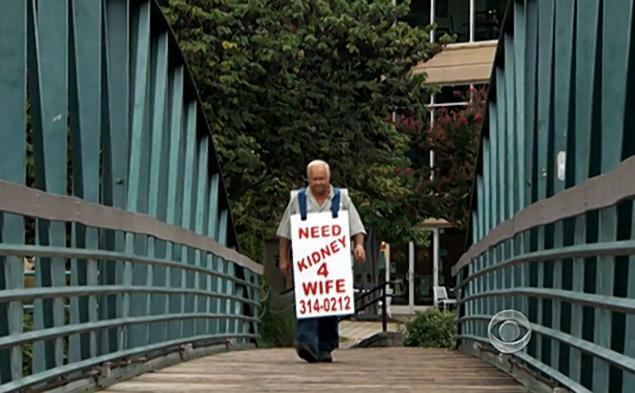 Larry Swilling took action when he learnt that his wife needed a new kidney, as he took to the streets wearing a sandwich board that read “Need Kidney 4 Wife”. Jimmy was born without one kidney and learnt that her other one was failing. Her husband, however, would not lose the love of his life and pleaded with the public to give his wife a kidney, as he was not a match. His efforts did not go in vain, as a retired Navy lieutenant commander heard about Swilling’s efforts and gave Jimmy Sue Swilling his kidney. 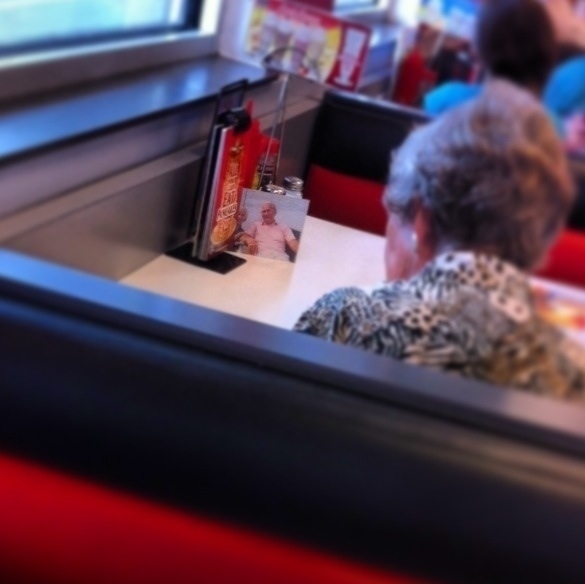 This woman would have lunch with her husband every day until he passed away. However, she continues with their normal routine every day, and takes his picture to the restaurant where they used to eat. 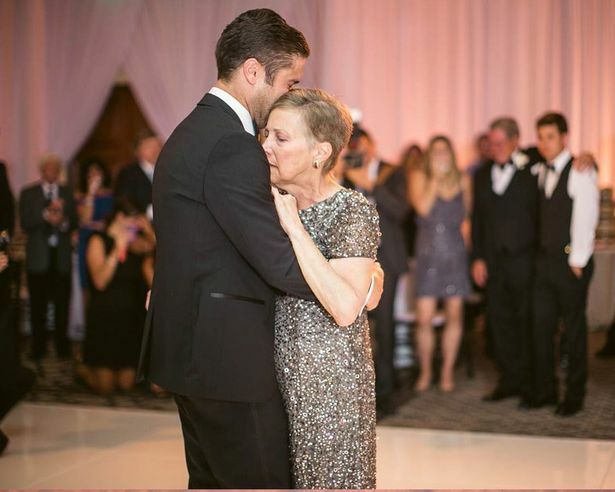 Mary Ann Manning, who was suffering from breast cancer, was determined to dance with her son on his wedding day. Frail and ill, she attended the ceremony and reception in a wheelchair, but could not be deterred from dancing with her married son. At the end of the ceremony, the bride and guests flooded onto the dancefloor to hug and kiss the groom and his proud mother. Mary Ann sadly passed away three days later. 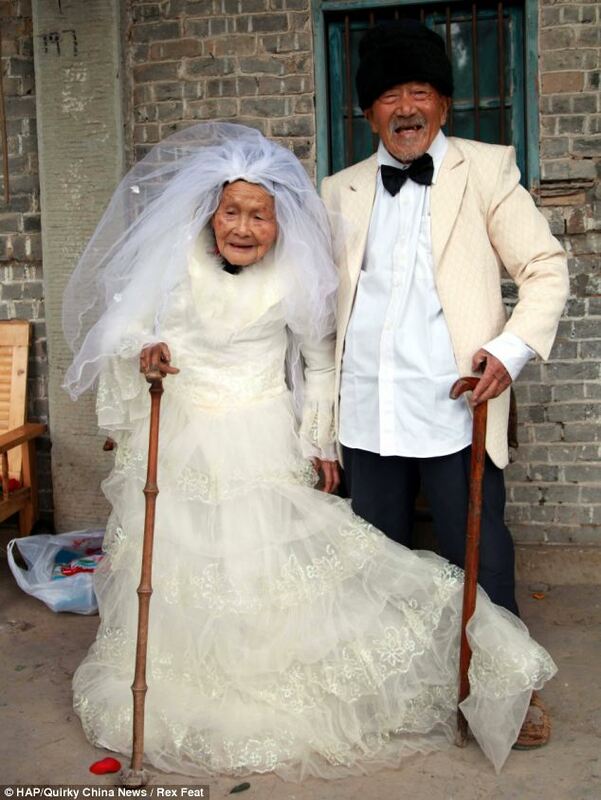 Wu Conghan and Wu Sognshi married in 1924 but never had a photograph taken to remember the special day. 88 years later, they finally fulfilled their wish and had a photo taken of them in their wedding clothes to remember the big day. Nick Vujicic was born without arms and legs due to tetra-amelia syndrome. Nick, however, overcome adversity and proved not just to himself, but to the world, that you can achieve anything you put your mind to. That nothing should stop us from achieving our dreams. 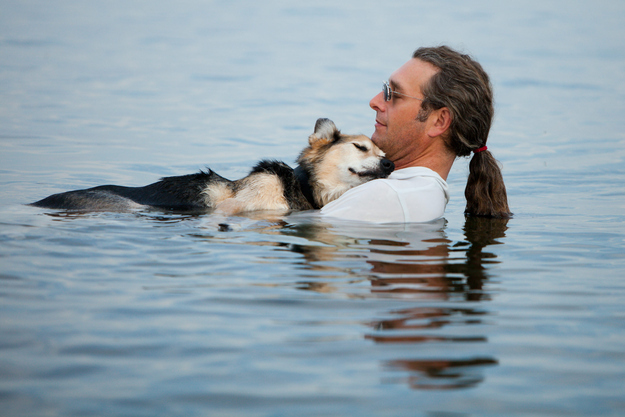 Pet owner John proves just how much he loves his arthitic 19-year-old dog Schoep, as he often takes him to Lake Superior to ease the dog’s pain due to the water’s buoyancy. Here the loveable pet comfortably sleeps in his owner’s arms. This photograph is not just about the above father and son, it is about all fathers and sons. All mothers and daughters. It is a reminder of how fleeting life can be, and why we should always treasure those we love so dearly. We’re sorry if we made you cry. Cheer yourself up a little by taking a look at 10 Photos to Restore Your Faith in Humanity.